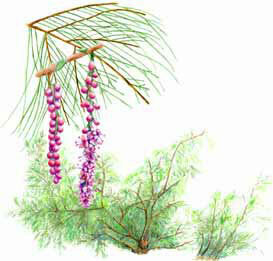 The tamarisk, which was brought to the U.S. from Eurasia in the late 1800s for erosion control, windbreaks and decoration, is much detested. Since its introduction, tamarisk – also known as salt cedar – has been blamed for choking waterways, hogging water and salting the earth as its range expands, driving out such native trees as cottonwood and willows. In Palisade, Colorado, a state lab is breeding beetles whose sole purpose is to destroy tamarisk. At one point, the University of Nevada published a poster about the plant titled WANTED – Dead, Not Alive! 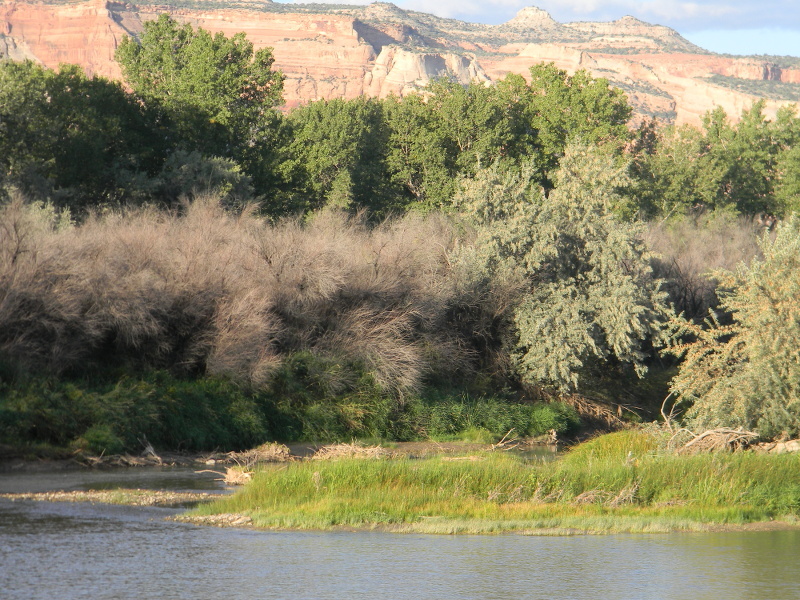 Join Tamarisk Coalition and the Water Center at Colorado Mesa University for the 16th annual Riparian Restoration Conference in Grand Junction, Colorado, a premier destination on Colorado’s Western Slope. 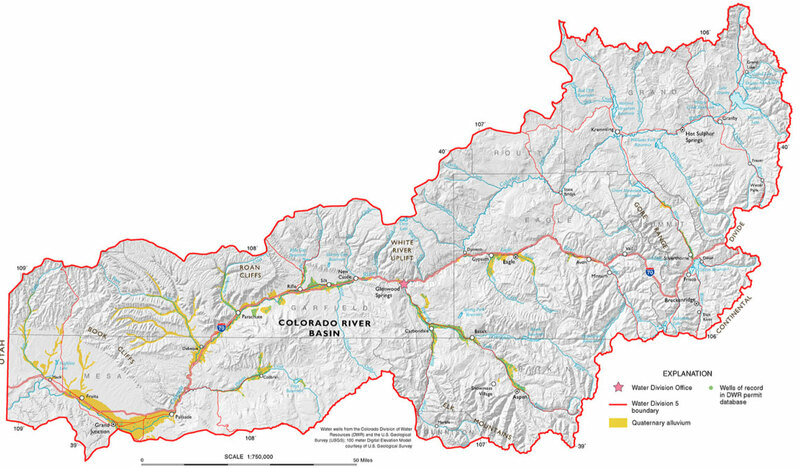 The Middle Colorado Watershed Council, MCWC, aims to protect the stretch of Colorado River from the mouth of Glenwood Canyon to De Beque at the western edge of Garfield County. We work with everyone who uses water from the agricultural community, to city water users (including tooth-brushers and lawn-waterers), to oil and gas developers and every governmental agency in between to encourage wise water use and ensure safe water quality for everyone involved. Working with the Colorado River District for the State of the River was a great reminder that navigating these diverse interests and subsequent water uses is a common thread for the entire river, from the headwaters of the Colorado down to the river terminus. Through education, dialog and exchange of information we have a chance to better understand and manage the finite resource. The MCWC has a few projects on the ground and on the horizon that aim to connect our stretch of river to the larger river system. These efforts involve riparian restoration, a nice term for fighting invasive species like tamarisk and ensuring native plants have a chance to grow back, and water quality management. This summer the MCWC will begin a few restoration projects and will continue to monitor existing projects. It is our way of working along our 75 mile stretch of river and understanding how we fit into the larger picture. As for water quality monitoring, we are undertaking a citizen science program to establish a baseline for what is in our water in the middle Colorado River and its tributaries. Upstream and downstream of us, many groups already test water quality, and therefore again, we are tasked with understanding how our section of river fits into the larger system. Our citizen science program is designed to find out what water quality looks like today, see how that compares to the past, and allows for the opportunity to evaluate trends into the future. How are we affecting water quality and are there opportunities to improve? The data we and our stakeholders collect will help us understand our basin better, but will also provide service to everyone downstream of us. Our little, but significant, stretch of river is ours to take care of. Managing the entire Colorado River might seem like a daunting task, but we can be stewards for our stretch, from Glenwood Canyon to De Beque. The steps we take to protect our water helps our little basin, but also, we are working a much larger system throughout the west, because we are all in this together. Annie Whetzel is community outreach coordinator at the Middle Colorado Watershed Council. To learn more about the council, go to http://www.midcowatershed.org. You can also find the council on Facebook at http://facebook.com/midcowatershed. The San Miguel River near its headwaters in Telluride, Colorado. @bberwyn photo. How an ambitious tamarisk removal project on the San Miguel River set the precedent for future restoration work. The free-flowing San Miguel River extends for 80 miles from high-alpine headwaters above Telluride, to a desert confluence with the Dolores River near the Utah border. The area is marked by Cottonwood forests with understory of willows and skunkbrush sumac and supports an array of wildlife such as great blue heron, American dipper, black swift, river otter, beaver, black bear, and mountain lion. In 2005, a watershed-scale conservation plan developed by the Conservancy and partners identified the invasion of non-native species specifically tamarisk, Russian olive, and Chinese elm as the highest threat to the riparian vegetation along the San Miguel River. Tamarisk replaces native vegetation, and accumulates high concentrations of salts in the soil, threatening plant and animal species and local economy dependent on the river and riparian systems. Removing tamarisk and other nonnative woody plants from riparian corridors improves water quantity and quality, and restores the health of native vegetation. In response to this, the Conservancy designed a restoration plan and set an ambitious goal of making the San Miguel the first tamarisk-free river system in the Western United States, something that had never been tried before. Working with community members, landowners, the Bureau of Land Management and local government officials, the Conservancy educated stakeholders on the benefits of the project for the river ecosystem and garnered support from almost everyone in the watershed. Starting in 2007, the project took seven years to complete. While not reaching the goal of a fully tamarisk-free river system, the woody invasive species abundance is drastically reduced in all of the areas that were treated. Analysis done in 2014 has shown that the removal work was a success and minimal continued management is needed. “This comprehensive project was a first of its kind in the western United States and has become a model for large scale riparian restoration,” said Terri Schulz, director of landscape science and management for The Nature Conservancy in Colorado. Efforts have expanded to projects on the Dolores River and prompted the establishment and expansion of groups such as the Tamarisk Coalition. By thinking about this work in the context of the whole watershed, the Conservancy was able to reach out to a wide variety of partners to provide leadership and manpower to the project and to grow the capacity for this work moving beyond the San Miguel watershed. As the Conservancy plans for future restoration efforts, the tamarisk removal project on the San Miguel River provides an outline for how to successfully work together with communities, landowners and the government to complete projects and reach largescale conservation goals. The Tamarisk Coalition announces they recently received two grants on the behalf of the Desert Rivers Collaborative that will greatly help their cause. Tamarisk officials say grants from the Colorado Water Conservation Board and the Bacon Family Foundation, totaling more than $200 thousand, will allow the coalition to continue streamside restoration efforts in the Grand Valley. It is projected that approximately 70 acres of additional riverside habitat will be restored, thanks to $175 thousand from the Colorado Water Conservation Board and $30 thousand from the Bacon Family Foundation. The funding will be used to pay different crews and contractors to use native plantings for re-vegetation and remove tamarisk, an invasive plant from the Eurasia region, as well as Russian olive, a thorny shrub and small tree that have overtaken a lot of riverside area. In addition, the funding will tremendously aid in reducing wildfire risk and improving river function, soil conditions, and water quality, and ultimately improve our local habitat for fish and wildlife. “The overall goal is to improve riparian health here in the Grand Valley, and it’s a continuation of projects that have been going on for several years,” says Shannon Hatch with the Tamarisk Coalition. Funding from the Bacon Family Foundation will also allow the hiring of an intern to assist with project mapping, maintenance efforts, data management, technical assistance, community outreach, and engagement.